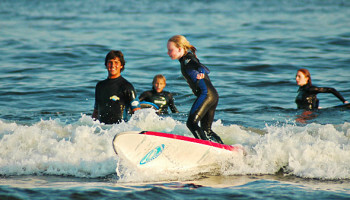 Huntington Beach Surf Lessons - Bargain Bike Rentals In Huntington Beach, CA! and owner of Surfboard and Bike Rentals, has been teaching surfing lessons for years right on the sunny shores of Huntington Beach! He is one of several very friendly and knowledgable instructors that will guide you through a fun, skill-building lesson. exhibit a fun unique style that will build skill and have you feeling like a pro. We are confident to say that we have a 100% success ratio and that everyone who takes our surfing lessons, whether beginner, intermediate or expert, left empowered and had an amazing time! Call Surfboard & Bike Rentals at 714-794-4940 for more info!